HeadsUp50Project Update With Video Over Tea! It's Mental Health Awareness Week until the 20th and the focus has been on stress. Stress is a normal phenomenon of modern day living but it's when it spirals out of control that it can lead to a mental health problem. Of course, some stress can actually be good for us because it enables us to push ourselves beyond our day to day limits ie. a presentation that we need to deliver at work. It's when you are experiencing stress for prolonged periods of time that there can be a problem. I heard that 75% of adults (in the UK) have experienced periods of stress in the last year where they have regularly felt not able to manage and 80% of young people feel the same. This is a reminder for possibly ourselves and/or our loved ones to identify stress triggers, find and then practice relaxation techniques and know that situations often have a limited point in life and that they often will pass. Here are three more collages that I've finished this week and I've recorded another video that goes alongside them. 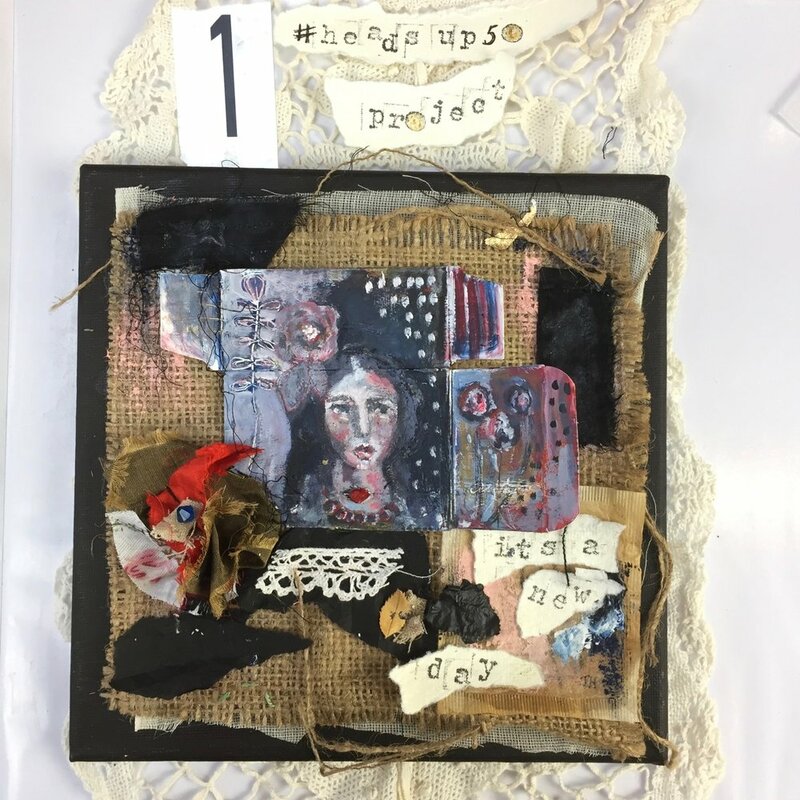 I share three books that I think are helpful, some personal thoughts, more detail on the collages and a cup of tea! I do hope you'll watch https://youtu.be/HXDT1Lwg2SQ or, click the video below. Have a wonderful weekend - I'll be watching the Royal Wedding of Meghan and Harry on tv tomorrow! Yep, the quote above is so true isn't it? Agh! I first heard this quote in the mid-90's when I was seeing my doctor for post natal depression with my first child. 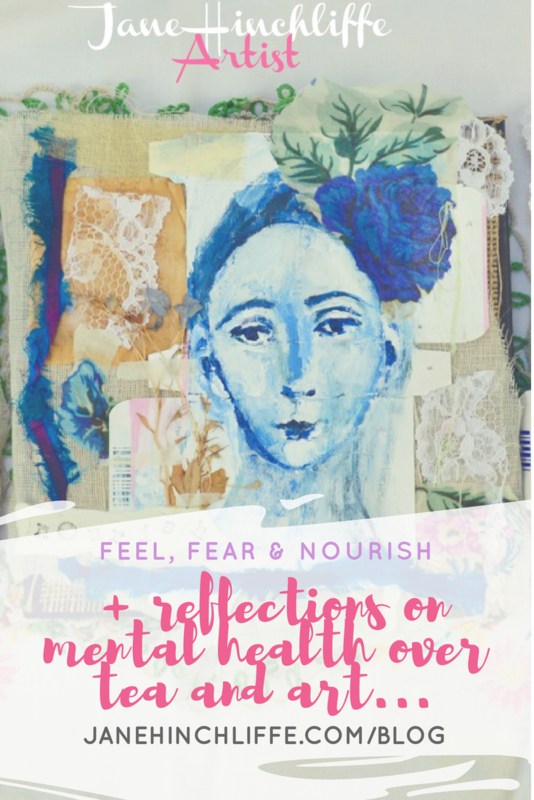 Those words really clicked with me and it was like I'd never really considered how my thoughts could inform the present and future - this was a time before self-help genre became a 'thing'. I think we all can experience this reality in life - doing what we've always done but somehow expecting a different end result. I know, it seems so silly to expect a change but somehow we do and when it doesn't come we can end up feeling sad, angry, confused, frustrated and if we're already feeling depressed, it can just make you feel worse. It's like you're banging your head against a brick wall and there seems no way to break the cycle. For me, I have various triggers and some are more bothersome than others. Overwhelm, timekeeping, getting distracted and not having enough quiet time, are all potential situations that can trigger unwanted reactions and behaviours for me. 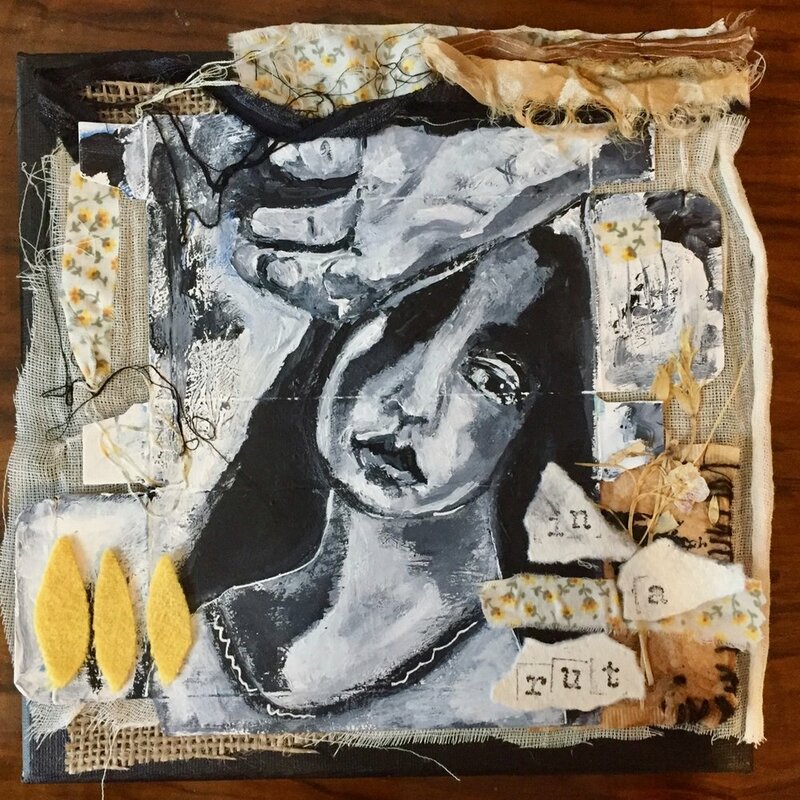 My latest collage is called 'In A Rut' and in the video below, I chat about what helps me and my 'behaviours' whilst piecing together and finishing off my latest collage 6/50 from my #HeadsUp50Project. Please note, 10% of the proceeds will go to the Mind charity. Anyway, in the videos below, I'm sharing some specifics on why I'm doing this project, a little of my story and some specifics on the collage. Please note, these videos are not edited, I've got no makeup on and yep, you get the gist of it - I'm speaking straight from the heart. By sharing honestly, I hope to help others along the way and I also want you to remember that art really does help you to sort through the chaos in your head, even when you aren't necessarily aware of this happening. My artwork will be available to purchase in the near future.